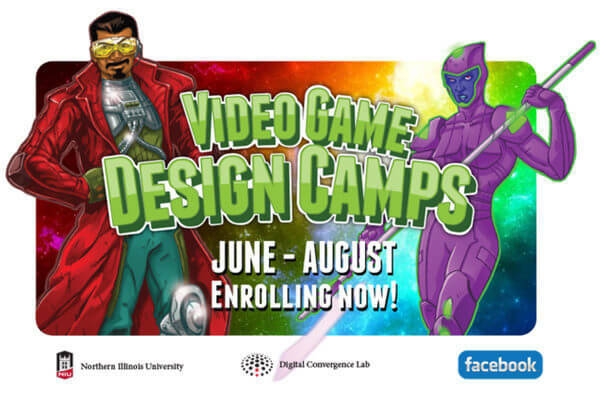 This summer, NIU’s Digital Convergence Lab will have camps on video game design and coding. Campers will explore innovative and original games while learning the basics of video game design and coding. By using the popular video game Minecraft, campers will explore and build a virtual world while learning ComputerCraft, Redstone and coding. They will use OpenSim to build a 3-D world with primitive objects, textures, sounds and scripts. Campers will develop skills in coding, complex problem solving, graphic design and working in teams. Weekly camps (Monday-Friday) start in June and end in August and are from 9 a.m. to 4 p.m. The cost is $250 per week. Campers will need to bring their own lunch. Camps will be held at Founders Memorial Library in the Digital Convergence Lab, Room 338. For more details, information and registration visit the Digital Convergence Lab.